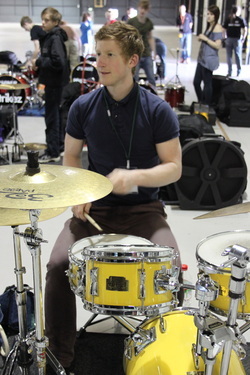 I am a BMus (Popular Music Performance) graduate from the Drum-tech school of music in London and have been teaching and performing in the North West for the last decade. I currently work for Denbighshire music service as a peripatetic teacher in primary & secondary schools across the county and play in a variety of function bands. Having studied with many great teachers over the years (Justin Scott, Tom Meadows, Paul Elliot, Ralf Salmins, Pete Cater, Jo Jo Mayer, Billy Ward) and played and recorded everything from Death Metal to jazz I can offer a wealth of experience. Please read my article for a more in depth look at my take on teaching drums.